CHERNOBYL, Ukraine (WLS) -- What does the fox eat? A sandwich, apparently. Ukrainian journalists shot this video of a fox near Chernobyl during a recent visit to the disaster area. They say the animals in and around the exclusion zone don't know to be afraid of humans because they have so little contact with people. 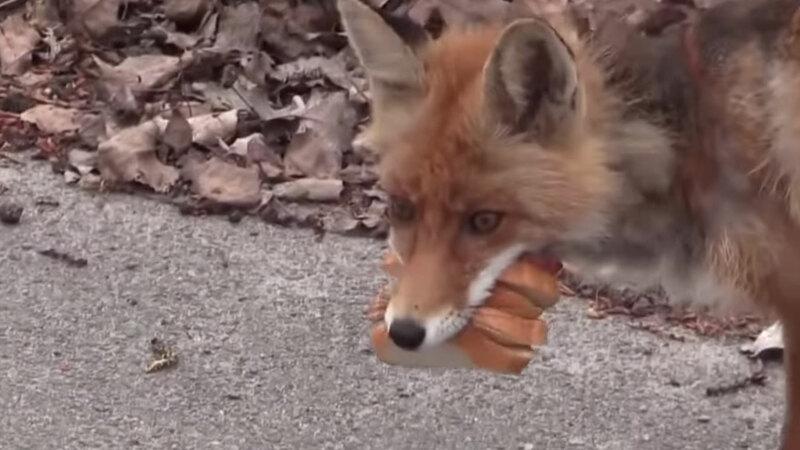 After some initial confusion, the fox managed to put together a pretty impressive five-layer sandwich. Who needs thumbs anyway?